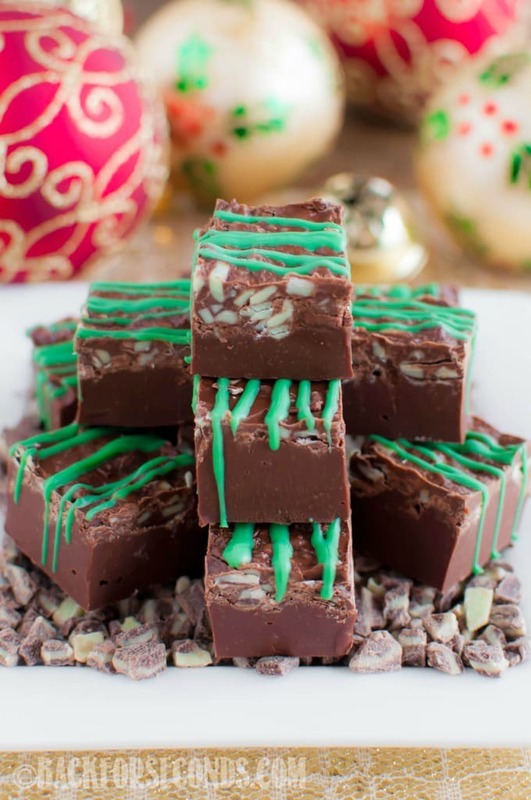 This 5 Minute Mint Chocolate Fudge is so easy, and perfect for Christmas time! It’s smooth and creamy, rich and chocolatey, cool and minty – so delicious!! There is nothing like mint and chocolate at Christmas time! Peppermint mochas (or even better, peppermint mocha cookies! ), yes please! Candy cane fudge? Oh yeah! Mint Chocolate M&M Cookies? The best!! Now you can add this super simple, knock-your-socks-off fudge to your list of favorites! 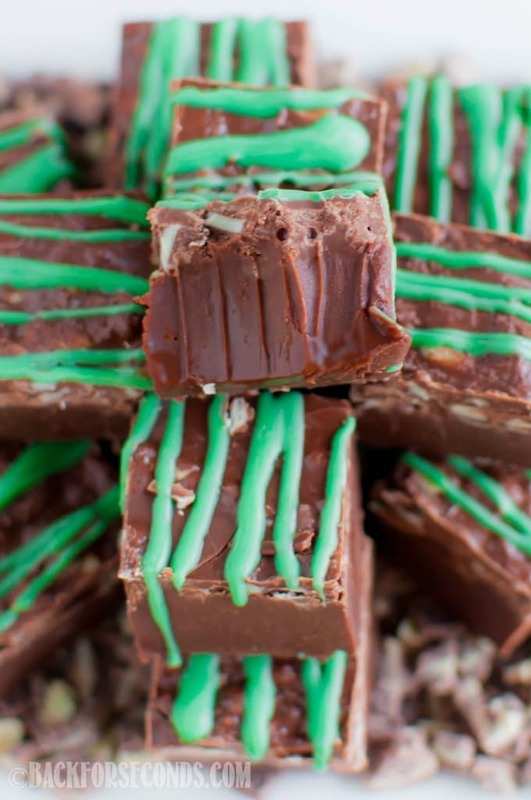 Mint and chocolate are such festive flavors that instantly fill me with Christmas cheer! Although, truth be told, I will happily enjoy mint chocolate desserts all year long. You won’t hear me complain! 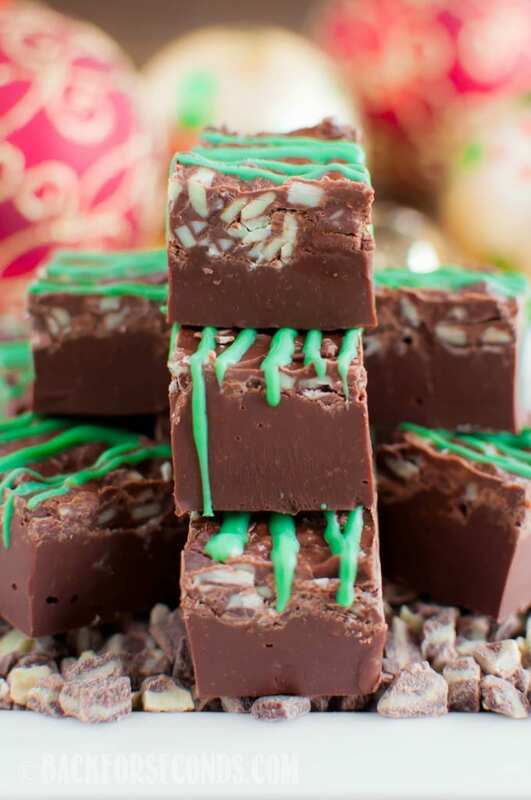 This is one of those awesome recipes that takes just a few minutes to make – no baking, and everyone will rave over how delicious this fudge is! It’s pretty much guaranteed to be the first thing to disappear off your goodie trays this holiday season. Who could resist this rich, creamy, minty fudge?! 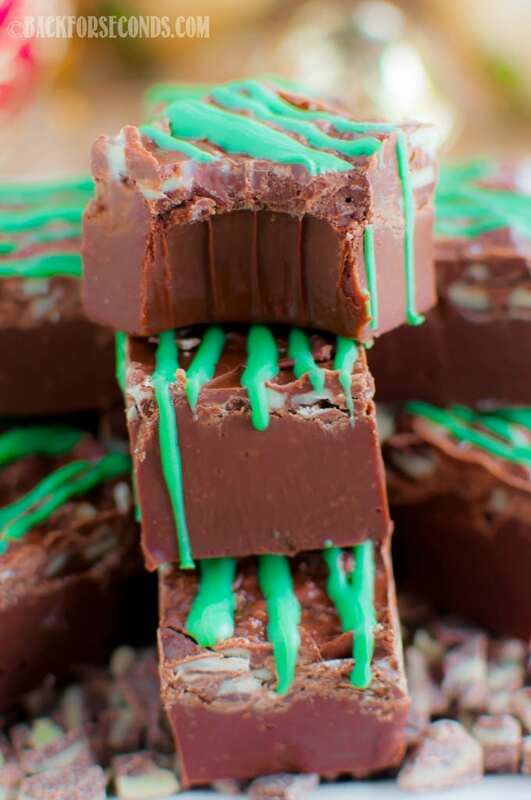 Chocolate mint is my daughter’s favorite combo – she would flip for this fudge! Love how incredibly easy this is! So perfect for this time of year. 5 minute fudge is exactly what I need! I love peppermint but my husband LOVES chocolate mint! Mint chocolate is definitely a must during the holidays! Love how quick and easy this fudge is! Five minutes? Count me in! I don’t have much time for baking just before the holidays, so this is perfect. My daughter is currently obsessed with Starbucks Peppermint Hot Chocolate…Betcha she’ll LOVE this! Where is the recipe? I scanned up and down four times!! I just made it on Wednesday to share with some of my friends at work. My goodness it was a hit! I think I over-melted the top layer, but as a friend put it, it tasted like a rich peppermint patty. Now I’m sorry there’s none left, but that means I get to make more for myself!